Naruto is no stranger to sacrifice, but that never makes it easier to see a ninja pass. Characters like Chiyo and even the Fourth Hokage went out of their way to ensure their deaths saved others, and it sounds like one Kage is willing to just the same where lit up with details about the next episodes of Boruto: Naruto Next Generations. It was there a blurb for episode 91 surfaced, and “Onoki’s Will” does not sound like it will favor the retired Tsuchikage. With the aid of Sekki, Onoki heads towards [Kuu’s] location! Reconsidering where he own true will lies, he has resolved himself to die for the sake of stopping Kuu’s rampage.episode, which will go live on January 27, seems like it will bring about the climax of the anime’s on-going arc. So far, the ‘Mitsuki Disappearance’ arc has been given mixed reviews by fans, but its focus on Onoki has been a nice treat for longtime fans. 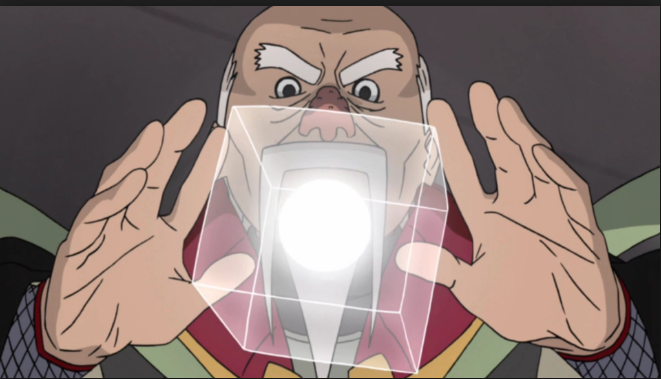 After all, Onoki was a major character during the Fourth Great Ninja War as he oversaw the Hidden Stone at the time. Now, the old man is well into is retirement, but he has enough strength left in him to lay down his life if it means atoning for his sins with Kuu. After all, the hard-headed Kage is responsible for the creation of the Fabrications. Onoki might not support their newly founded radical ideas, but his history with Kuu has the old man determined to take the clone down... even if it costs him his life.